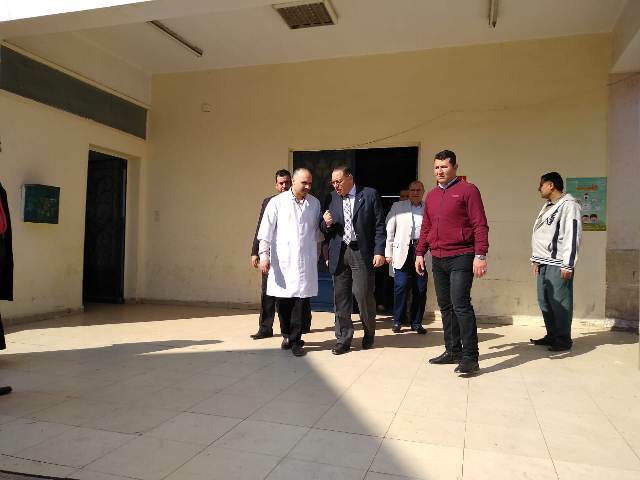 Dr. Mamdouh Ghorab, Governor of Al-Sharkia, visited Al-Saadien Hospital in Minya Al-Qamh Center to identify the needs of the hospital to provide the best health services to patients and children in the area and to ensure the availability of all medical supplies inside the hospital, stressing the need for good reception of patients and their families. This came during his surprise tour to the center and city of Minya al-Qamh to find out the state of public cleanliness of the streets and squares and to make sure to raise the occupants and kiosks violating and open the way to the movement of cars and citizens to create the required traffic liquidity and to restore the aesthetic and civilized face of the city. Al-Sharkia Governor directed Head of Minya Al-Qamh Center to have constant and continuous follow-up to the developmental and service projects being implemented within the scope of the center and obligating the executing companies to commit to the schedule of the work. The governor met with the citizens of the city to listen to their problems and identify their needs to be directed by the relevant authorities to meet them immediately and said: "The citizen has the right to find those who listen to him and work on his problems."